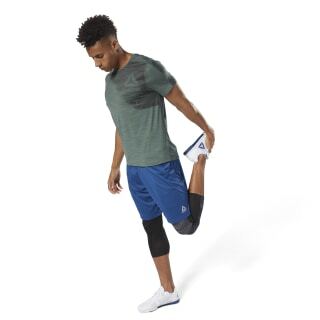 For a fitness routine that's anything but standard, these men's knitted shorts serve up versatile comfort and performance. Made with Speedwick technology, they're designed to help you stay comfortable on a run or in the gym. The mobility minded construction helps encourage a better range of movement.